I’ve been absent from here, from all social media, for awhile. Life changed, as it does. Here’s what happened. And why I can start to emerge from the shadows, and rejoin the virtual world. With differences. My daughter started middle school and was diagnosed with ADHD. My life morphed into doctor’s appointments, school appointments, research, tapping friends, colleagues and strangers with similar situations, long hours of homework oversight and working through a spectrum of emotions that exploded through the house without a moment’s notice. There was no time and little left of me at the end of the day. My writing screeched to a halt, so did the daily yoga I use to manage a back condition. I missed deadlines and obligations–something I’ve never done. And given my overblown sense of responsibility, it all felt terrible. My stomach turned to acid, my pants tightened, I couldn’t get out of bed,papers piled up in all corners of my house, I ran out of dishes because I didn’t wash them and I noticed more wine bottles in the recycle bin. So I scaled back. I dropped social media, resigned from all volunteer activities, took out everything from my life that took time from my family. I didn’t have it to give. My attention centered on my daughter and work. Nothing else. Needless to say, I got lost somewhere in there. Sometimes an unexpected gift gets dropped on your doorstep. Its not necessarily anything important, just changes something. Like fixing a slanted picture, and the room looks somehow right again. In this case, neighbors I didn’t know very well, moved and left me their dining room table. I needed a new one and this did the trick. One small change compelled me to make another. 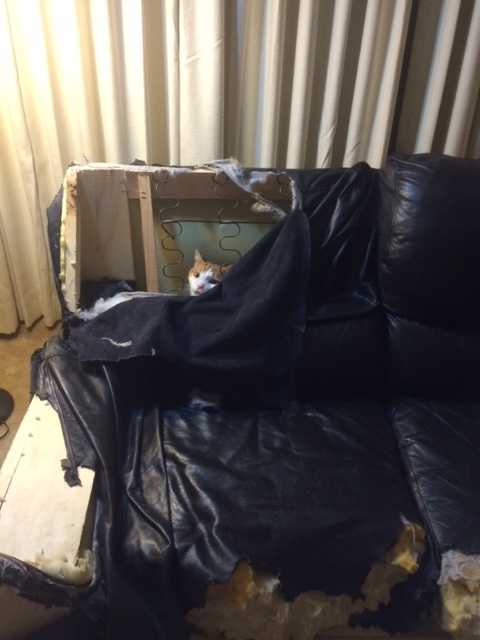 I added a new sofa, since the puppy tore through the old one, and the cat usurped it as his hiding place. Two changes and my home no longer felt like a burden, another set of lines on my never ending to-do list. It became a place to nest and to heal. A place of refuge and renewal. My daughter continues to adjust to middle school and we’ve come up with tricks and strategies to get the homework done by a decent hour and manage some of the ADHD. Life advances one day at a time, no matter how much it feels like its racing past us. Things are still not easy nor reliably routine. Perhaps they never were–that’s just an illusion we create to keep ourselves sane. But I’ve come home to myself. I’ve started writing again, doing yoga, and journaling. Not at the same level of productivity and not every day. My schedule has changed. I’m not taking on new responsibilities for the moment but have started adding the basics back. I’ll aim to blog more often–aiming for weekly–and show up on twitter and FB at that same level. I miss you all. I’ve slowed down and may have back tracked by I’m still writing. 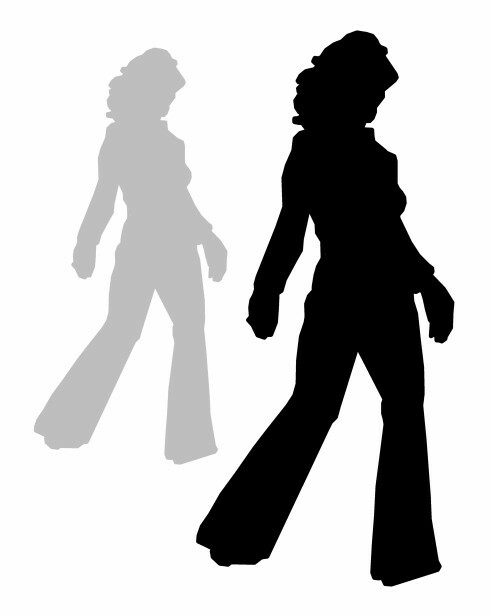 Hope Restored, Book 3 of Divine Temptation is with critique partners and beta readers. If anyone wants to beta read it, there’s still time and I’d love to get feedback from a few others. But that should be out later this year, if everything goes well. After that, I may reinvent myself. Watch this space. As my life changes, my writing and writing life will change too. Loved this post! My daughter also has ADHD and the road to understanding is a long one. Good to have you back. Thanks, Vallory. Its good to be back. ADHD is certainly all encompassing. The thing about the diagnosis, it made so many things clearer. Things that I couldn’t make sense of before. So many assumptions get broken, so many patterns get clearer. There has been a lot of hidden positives underneath it all, which has helped make a difficult process easier. And clarity helps me be a better parent. I hadn’t posted for a month and am just catching up. I missed this post, and just wanted to say that I hope you and your daughter are okay. Sending good thoughts your way. No apologies needed. I’m not here much anymore. Life is just too full. I’m writing again but in small batches. I hope you are well, and things are good and rich. So good to hear from you! Life and parenthood trump everything else, but I’m glad you are settling in, finding the time to write, and looking ahead to the next release. We are all fine, thanks. Wishing you well.